The Story in the Bible is a thorough over-view of the entire Bible from Genesis to Revelation, in story-telling fashion. It’s the story of Jesus. It’s the story of salvation. It’s also the story of your own life! Find out how it all ties together. 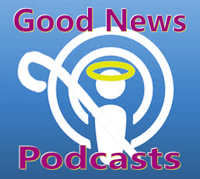 This course is divided into 21 podcasts and includes transcripts with maps and illustrations. 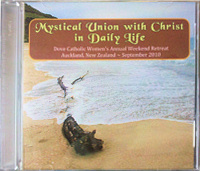 The Story in the Bible was recorded live during a Good News Catholic Bible Conference in 1997. 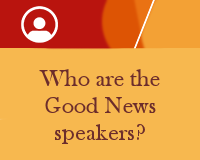 This course is presented by Terry Modica, executive director of Good News Ministries of Tampa Bay, which she founded with her husband Ralph in 1995 to help people grow closer to Christ, enter the embrace of the Father, and become evangelizers empowered by the Holy Spirit. 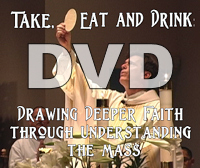 Since 1999, Terry has been producing Good News Reflections on the daily readings of Catholic Mass. Her ministry has spread throughout the world. She credits the Holy Spirit for bringing her into the Catholic faith in 1977. He gave her instant faith in the True Presence of Christ in the Eucharist when a friend explained the miracle to her. This rescued her from the occult. Terry, who has been involved in a wide variety of parish and diocesan ministries, has a theology degree and pastoral certifications. A versatile speaker, she gives retreats and conference talks on the Holy Spirit, Difficult Relationships, the Rosary as Mystical Union with Christ In Daily Life, Healing the Wounds that Affect Our Intimacy with Abba, How to Use Virtual Reality in Ministry and other topics.